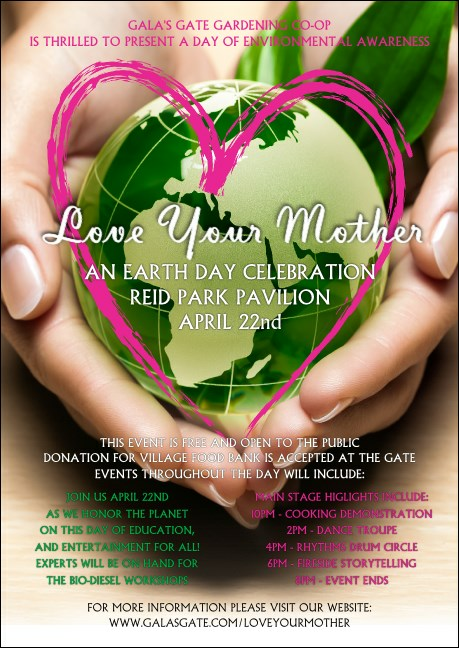 Explore alternative sources of fuel and great pre-event promotions when you advertise in advance with Earth Day Heart Postcards. Show your love for our planet with Postcard templates that feature a realistic picture of a bright green Earth held softly between two hands and traced by a pretty pink heart. Let your event flourish with pre-event advertising from TicketPrinting.com.